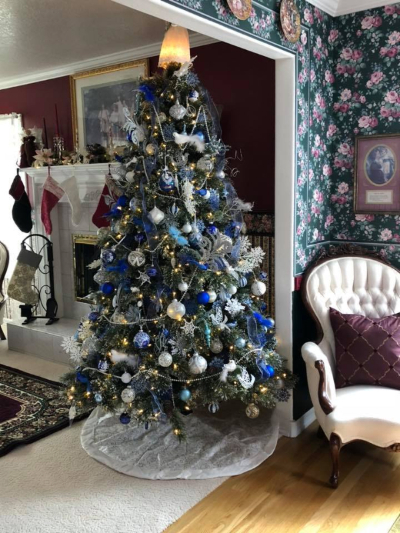 I managed to get my house decorated amidst edits and the preparations to release two books, just a week apart. If all goes as planned, you’ll be seeing the final Culpepper Miss book early next year too. I hope I see some of you on the Barbara Vey Reader Cruz in January and at the Colonial Williamsburg Historical Conference in March. Between those, I have to have surgery on my right hand to release two trigger fingers. Pooh! There’s still time to enter the contest too, but only for one more day! 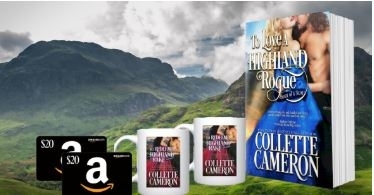 You could win a gift card, mug, or a print copy of TO LOVE A HIGHLAND ROGUE. Enter here. 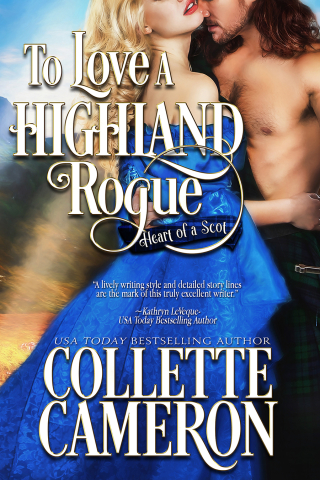 To Celebrate TO REDEEM A HIGHLAND RAKE’S release, I’ve put TO LOVE A HIGHLAND ROGUE on sale for 99¢ until December 15, 2018. 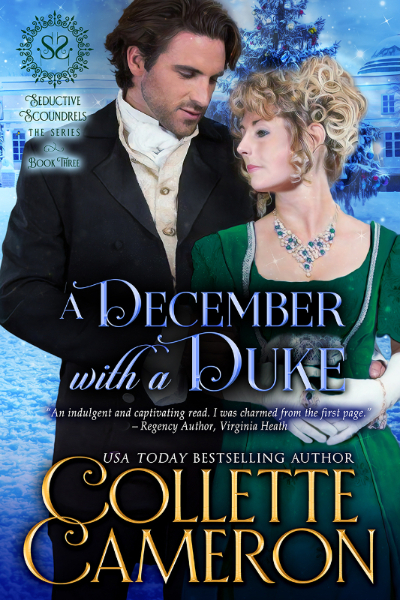 If you’re part of my VIP Reader group, Collette’s Cheris, you know A DECEMBER WITH A DUKE is releasing early too! I’m thrilled to be able to offer this romantic, heart-warming Regency Yuletide story you’ll want to read in one sitting. (Yes, that’s me on the cover. *blushes*) I’m having a Christmas Tea party on my Facebook page to celebrate. Keep an eye out there for details. Any audio book fans? Occasionally, I offer FREE Audible audio codes to members of my VIP Reader Group who review audio books, on a first come, first serve basis. ONLY A DUKE WOULD DARE is releasing in audio soon too! Kindle Unlimited Readers? 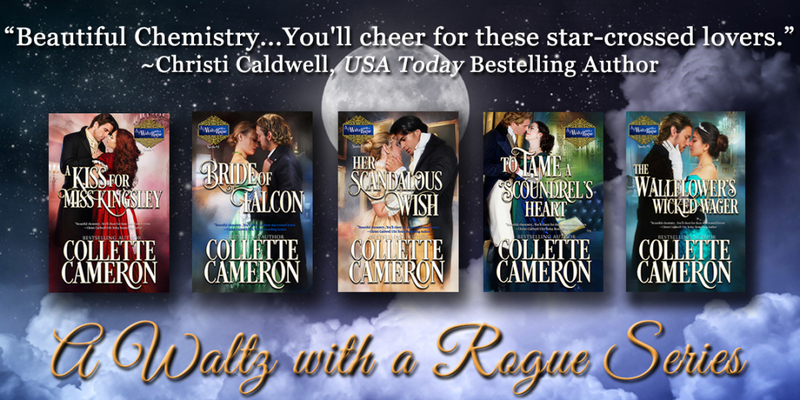 For a limited time, you can read the entire A Waltz with a Rogue Series in Kindle Unlimited and for those of you who aren’t members, I’ve reduced the price of the books to 99¢ each through December! Make sure you’ve liked and followed my Facebook Author Page so you don’t miss announcements I don’t include in my newsletter. For instance, I’m participating in a month-long historical author celebration sponsored by Erica Ridley (There are giveaways!) and you’ll find the details on my Facebook page. I was also part of another multi-author event last week that included a $200 gift card as a prize! Those sorts of things won’t make it into my newsletters; they are too numerous. For those of you who want to know what order to read my books in, I have a printable book list on my website. The most recent releases haven’t been added yet, but soon will be. Soon, you’ll be able to read the first chapter of all of my books on my website too. I hope you have a very blessed holiday season! Thank you so, so much for your support and for reading my books! Follow me on Bookbub to receive notifications about new books and discounts. Are you a Kindle reader? Be the first to know about my books. Click on the yellow “FOLLOW” button on Amazon HERE. 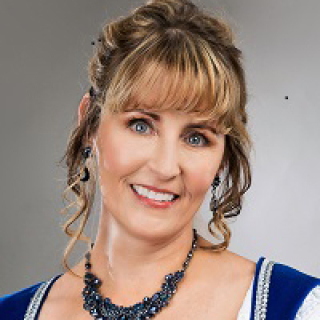 I hope you have all connected with me on my Facebook Author page: If not, please do so here! I am always looking for committed readers and reviewers to join my VIP Reader group, Collette's Chéris. Submit your request to join HERE. Want notifications of the Best Bargain and New Release Romances? Subscribe to Historical Treasures, my weekly circular featuring historical romances HERE. you can unsubscribe instantly at the link at the bottom of the page. Do you know anyone who might enjoy receiving this newsletter? Share away and earn Collette's sincere gratitude! Copyright © 2018 Collette Cameron All rights reserved. You are receiving this email because you subscribe to Collette Cameron's Newsletter and Updates.